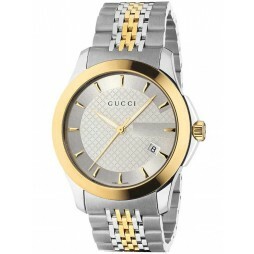 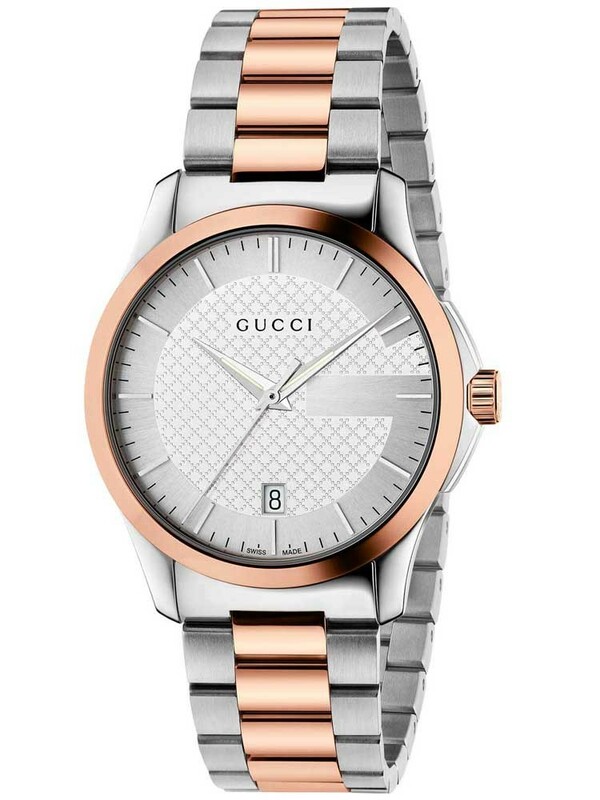 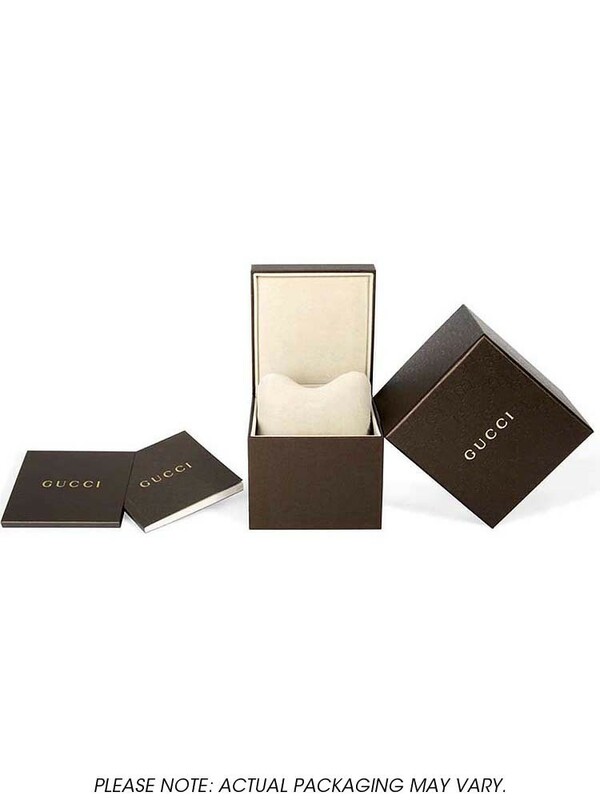 Gucci present this sophisticated watch with a blend of rose gold and silver tones. 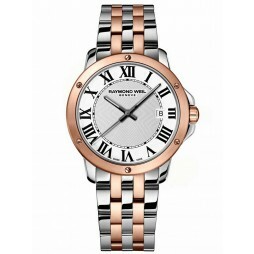 The smooth stainless steel case houses a subtle textured silver dial finished with a rose gold bezel. 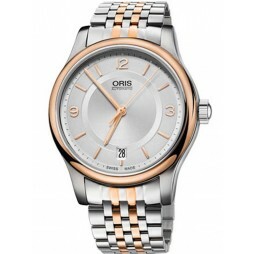 Slender baton hour markers and a date window complete the beautiful crisp clean cut styling of this piece.